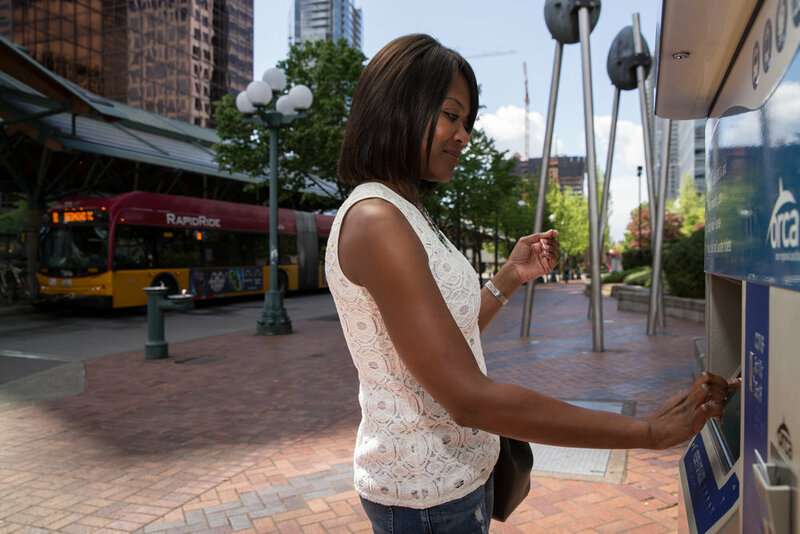 Use an ORCA card to pay your transit fare across agencies (no need for transfers!). Load and re-load the card with a one-time balance, automatic payments, or with monthly passes. Your ORCA card may be covered by your employer. ORCA Business Passport: A comprehensive, annual transportation program that is only available as an employer provided benefit. ORCA Business Choice: Provides total flexibility for employers and employees. This program offers a variety of products to load on cards or on a single ORCA card - flexible depending on who is using it and who is paying for it. Monthly passes at retail cost call into this category. If you're an employer seeking information on ORCA transit benefits, let us know. Our partner site, Choose Your Way Bellevue, has resources and may have rebates available for new Passport customers. Contact us to find out more.